• What is TimeTec TA? Managing a company poses a set of challenges to its administrators because the company needs to manage people with different backgrounds and expertises all of which comprises not only a single department of staffs but rather consists of a multitude of sectors as well, including employees from management, sales team, research and development, admin, finance and etc. On top of planning their work schedules, dealing with rotating shifts and many more issues, the management has to also handle administration matters arising from the human resources department particularly the tedious leave management. 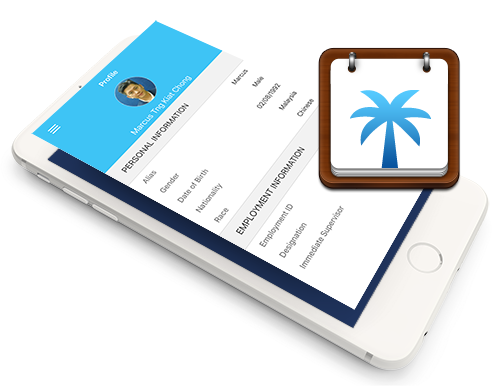 TimeTec Leave is a great tool to help companies administer their leave matters smoothly through its web solution and mobile app. If you have been using any of the TimeTec Solutions, like TimeTec Patrol or TimeTec TA; adoption of TimeTec Leave will be easier due to the fact that you can use the same Employee Profile that has been established on other solutions, on TimeTec Leave thereby removing the need for profile duplication among each platform. Worry not, information on your existing profile will be accurate and consistent throughout. Hence, providing you with convenience at its best! 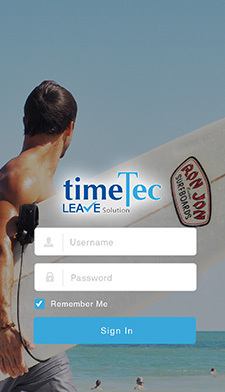 TimeTec Leave is a fully computerized solution that handles applications, approvals and details of leave online. 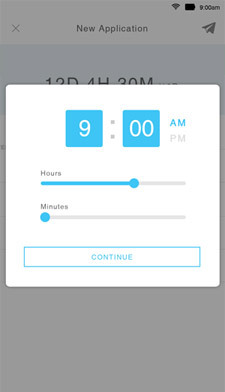 Plus, it comes with an App that makes everything easily accessible and practical. The solution supported by company’s policies can boost accuracy and ensure employee’s independent compliance to cultivate discipline in any organization. 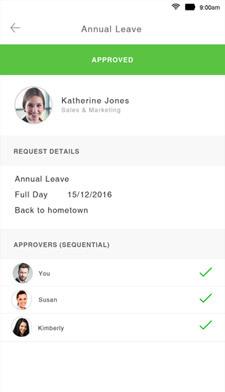 Manager/HR personnel have instant access to archives of employees’ leave history which allows them to track leave activities for various purposes. Evaluate staff performance and assist in payroll calculation with the useful reports available and filter the information to your preference. Since everything is automated, employers/employees may skip the manual procedures and arrive at a centralized point to perform leave applications/approvals. Helps managers by providing insights on leave patterns of the employees in order to successfully manage workload to meet project/task deadline. Ensuring all leave applications/approvals are closely monitored and recorded to avoid any form of biasness or partiality. Configure compliance settings to suit your company/country's legal policies. For example, maximum eligible annual leave, medical leave, leave accruals, etc. 1. Is local support for TimeTec Solution available? Yes. TimeTec has more than 200 authorized resellers in approximately 120 countries. You may contact us via email, Skype, GoogleTalk for 24 hours a day, 7 days a week year-round service. 2. Where is the location of TimeTec Solution Server? Currently, the TimeTec platform is located in West California, United States of America. 3. Do you set up your own cloud platform, or you work with a third party vendor? TimeTec is currently working with Amazon EC2 who acts as our Cloud platform provider. 4. What is the uptime guarantee for TimeTec? 5. How safe is my data on your cloud? Don't worry, we deploy necessary precautions to keep your data safe and we have sufficient recovery plans in place to manage your data in our cloud. 6. Do I need to fulfill system requirements to use TimeTec Leave? Fortunately, no. TimeTec Leave works across all browsers and all mobile devices. 7. Where can I buy TimeTec Leave? If I'm overseas, can I still use your product? In this cloud era, so long as you have an internet connection, our product is there and you can oversee things even though you are away. 8. Is TimeTec Leave available in my region? Yes it is, because TimeTec Leave is a cloud-base system, it is available on the Internet at all times, accessible worldwide. 1. Can I get instant notification when employees submit their leave application? Yes. Superiors will receive a push notification and also email for all leave applications. 2. How do I make leave request approval? Simply check the request via TimeTec Leave app or web and approve. Details of the leave and the list of approvers are available for reference. 3. Am I able to see booked leaves of other employees? Yes. All leaves will be displayed in a calendar for employees view. 1. I don't trust online payment. Can I use other payment modes? Yes. You can pay to our local authorized reseller. We will activate your subscription account once we have received payment from the local reseller. 2. I prefer to pay in local currency, what should I do? We charge the subscription fees in US dollar. If you would like to pay using your local currency, you may choose to pay to our local authorized resellers. But the total amount would be based on the then exchange rate of your local currency against US dollar. 3. Do I need to pay bank charges when I make the online payment to you? No. You just need to pay the exact amount on the billing. 1. Is it easy to sign up for a trial account? Oh, yes! You just need to SIGN UP at our website and fill up a few important details and you are good to go. However, since we are still developing TimeTec Leave, you can submit your registration first. We'll update you when the application is available for trial. 1. Am I able to get any refund when my company wants to terminate its subscription? Yes, you could get the refund for the unutilized subscription calculated by months minus the administration charges of USD 10 and bank charges. If your subscription fee was paid to our local authorized reseller, you have to inform them to help you terminate your subscription and you have to get your refund from them. 2. Can I retrieve my company data when our company had decided to terminate TimeTec Leave Solution's subscription? Yes, we will send you a link via your registered email for you to download your data in csv format. It is recommended that you download the relevant data during the grace period of 45 days. After the grace period, we will remove your data from our server and any lost of data after that grace period is regretful. 3. Could my company renew my subscription when it has already terminated? Renewal of your subscription is available within 45 days of grace period after termination is approved. After that, your data will be removed from our server, and you have to start with a new subscription and go through all the system set up process again. 1. How do I get technical support for TimeTec Leave Solution? Drop us an email to support@timeteccloud.com and a quick response from our support team is assured. TimeTec support is available 24-hour, 7 days a week, all year round. 2. I'm not familiar with TimeTec Leave Solution. What is the best way to setup my account? Implementation Wizard will be there to assist you. All you need to do is to follow the instructions provided and you'll be able to setup your account in no time. If in any case you are stuck, the support is available for assistance. 3. I want to understand more on TimeTec Leave Solution. Is there a training that I can attend? 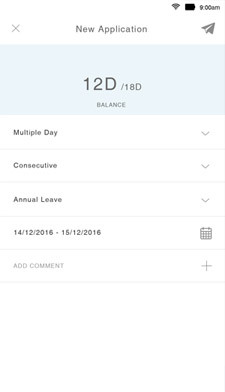 Apply, Approve, View leave calendar, Obtain reports, Get notifications and more with TimeTec Leave app. That's convenience in your pocket! 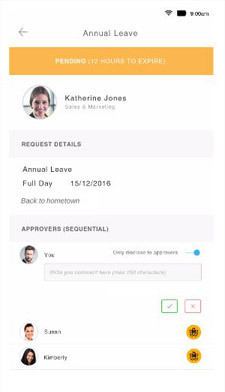 Apply leave directly from your mobile phone without having to use any printed form thus reducing time and errors! 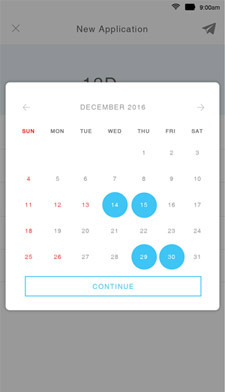 Select the dates from the calendar and know exactly when is the crunch time and when is the available dates for leave application as to not disturb the operational flow. Taking time off, responsibly! Every action is transparent with TimeTec Leave App and this is important to boost employee morale throughout an organization. Flexibility is a sought-after factor. Therefore, TimeTec Leave offers the option to apply for a half-day leave for companies who need it. 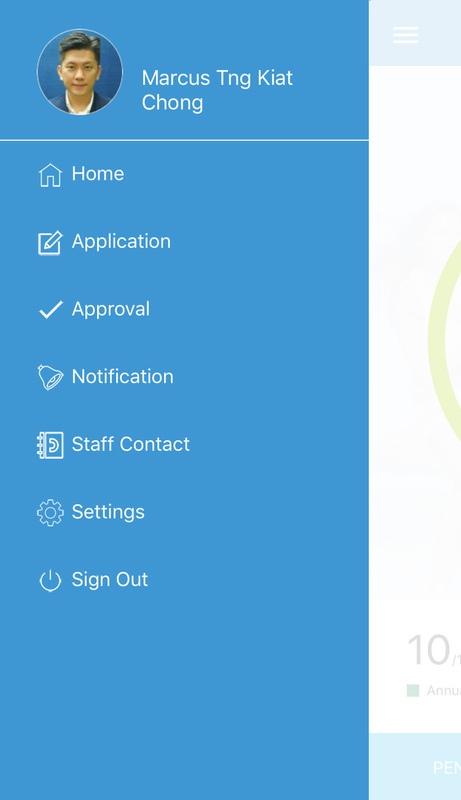 While the conventional system rarely offers two-way communication, TimeTec Leave gives that extra control to employee to buzz his/her approvers for faster application results.